Trail Mixed Memories: Valentines Day Special for Couples! OC Zoo! (Orange, Calif.) – To celebrate Valentine’s Day the OC Zoo is inviting couples to be “Wild at Heart” and enjoy two-for-one zoo admission February 14-17. Couples, pairs and any party of two can take advantage of this special Valentine’s Day offer. Spend a day at the OC Zoo with just the two of you or the whole family and learn more about the romantic and friendly animal couples of the zoo. Animal keepers will be presenting special Valentine’s Day-themed talks about the animals throughout the days. Admission to the OC Zoo is generally $2 per person ages 3 years and over with free admittance for ages 2 years and under. This special two-for-one admission offering is available February 14 and 15 from 10 a.m. to 3:30 p.m. and February 16 and 17from 10 a.m. to 4:30 p.m. The OC Zoo is located inside Irvine Regional Park in Orange. Parking is $3 per vehicle on weekdays and $5 per vehicle on weekends. 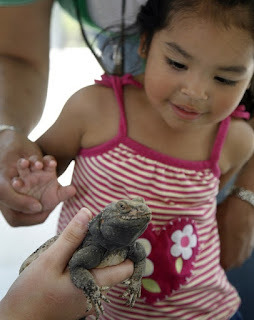 Be Wild at Heart with OC Parks and your loved ones at the OC Zoo this Valentine’s Day.